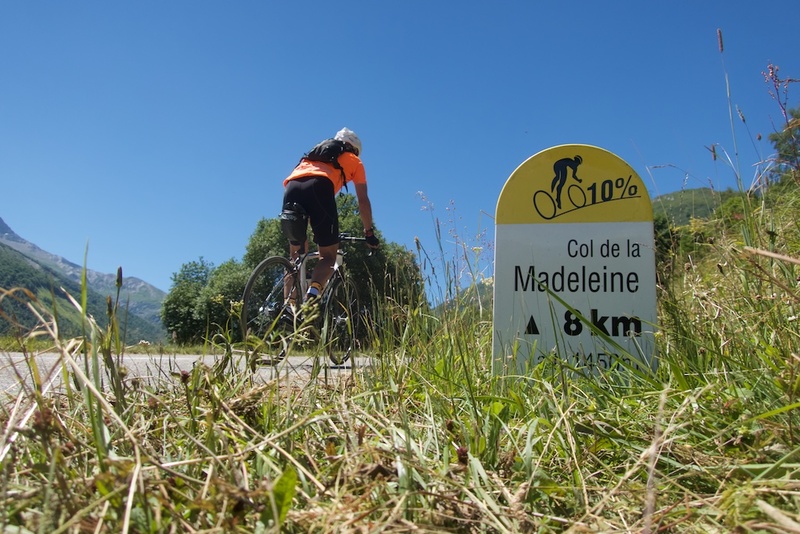 Col de la Madeleine is one of the most famous climbs in France with distance/ascent statistics rivalling Mont Ventoux and Col du Tourmalet. 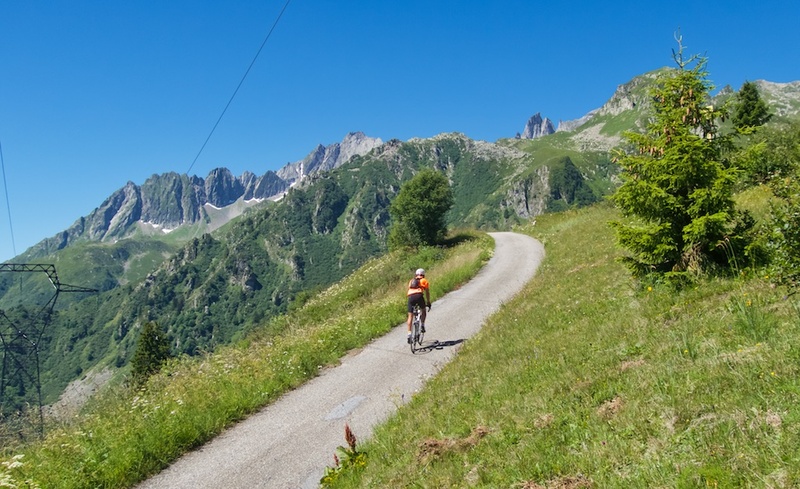 My goal today was to ride my preferred north side (less developed, fun final few kilometres), while visiting a not-well-known paved side climb along the way – Refuge du Logis des Fées. 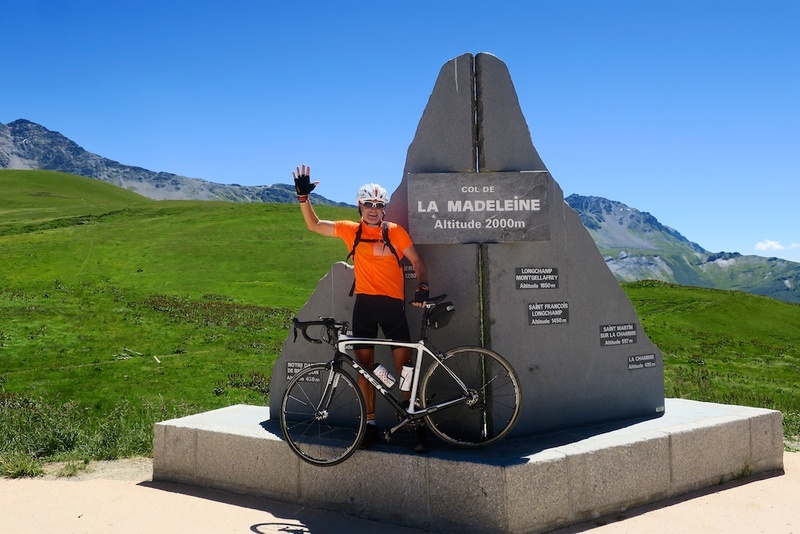 Last year I detailed four ways up Col de la Madeleine – three paved and a fantastic unpaved route – see here. At 25 kilometres, the north side is 6 kilometres longer than the classic south side. As the profile shows, there are a few easy kilometres along the way. But it’s still hard work. It’s a big, well-engineered road, not a quaint little trail, but I find it interesting, with constantly varying grades, hairpin sections, and ever changing terrain. 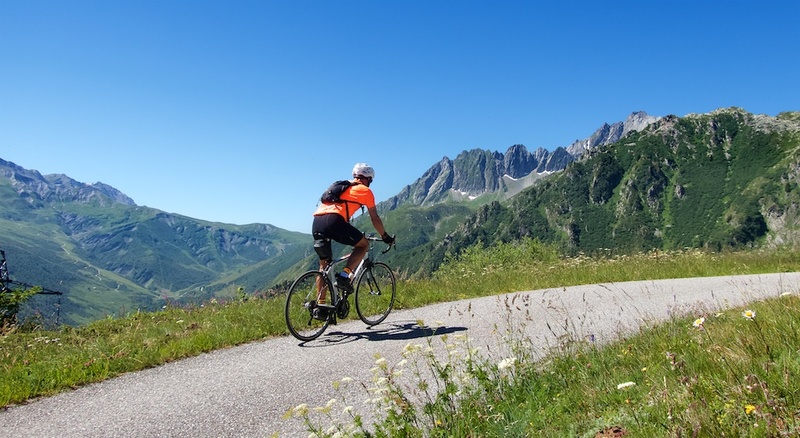 There are a few very small, quiet villages, but there were more cyclists than cars. I kept glancing into the mountains on my right, wondering what my planned detour would be like. Just after Celliers Dessus (see map below) is the right turn. It’s signed to Logis des Fées (Lodge of the Fairies). 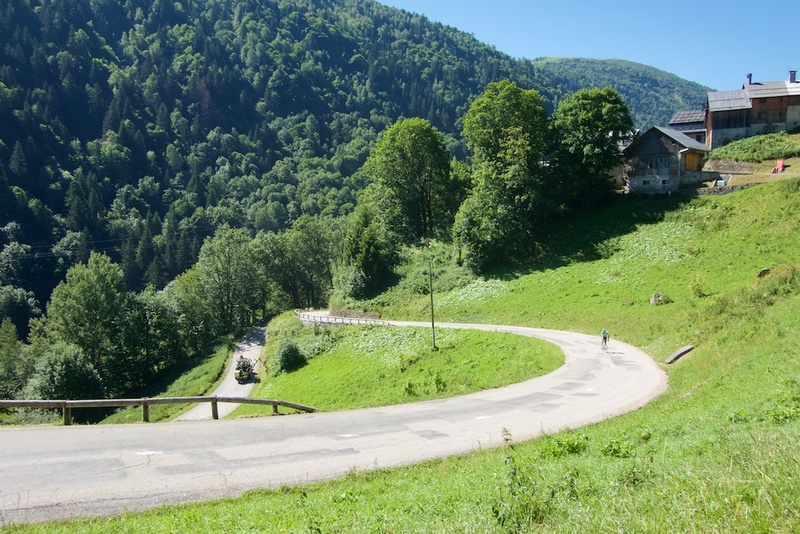 It’s five narrow hairpin-filled kilometres to the Lodge (1839 metres) at a steady 9% or so. Glorious cycling. 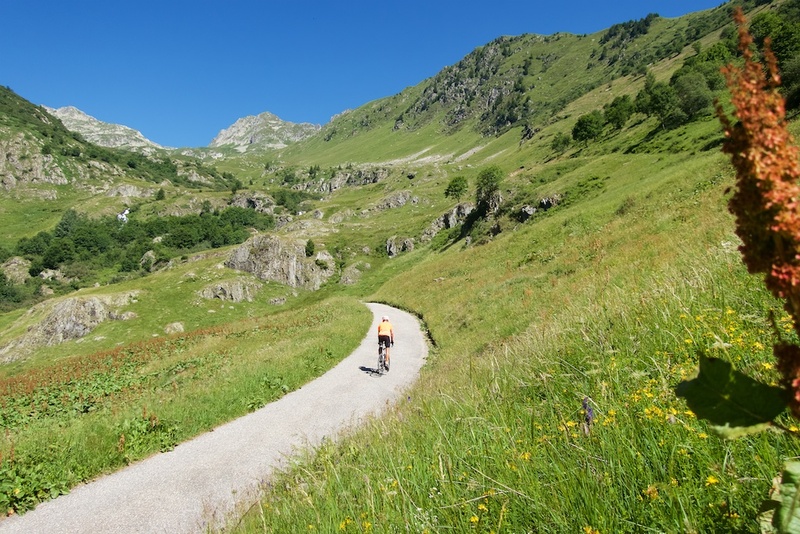 The paved road ends at the lodge, but a gravel road continues for just over a kilometre – reaching Lac de l’Arpettaz. I was on a road bike but was enjoying the environment, so I decided to keep going. 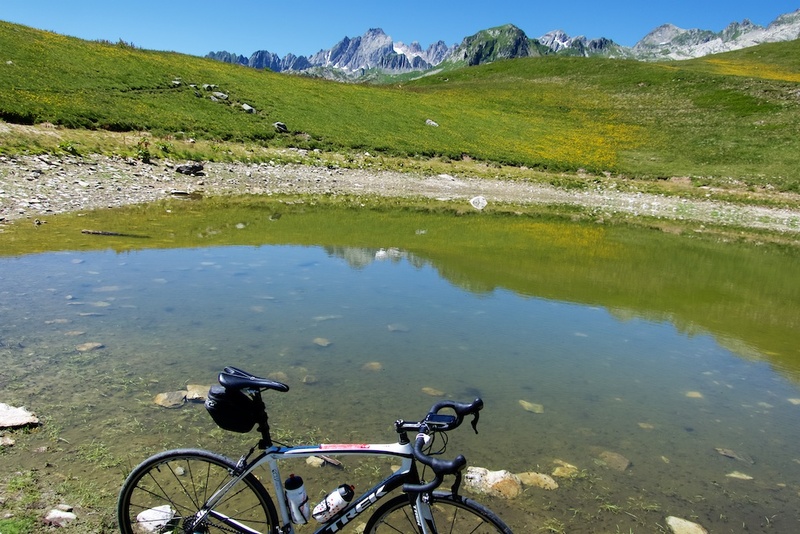 I found the extension worth it, but I must admit Lac de l’Arpettaz (1950m) was a disappointment. 😉 There is plenty of hiking higher, but the road ends so I turned around. 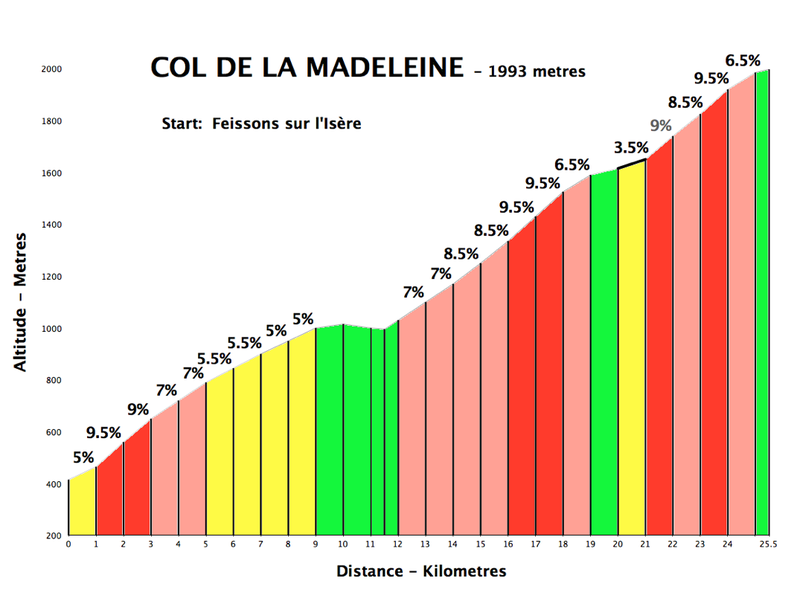 There is another side climb on this side of Madeleine that starts a little lower down and goes to Lachat. Details here. It’s longer and tougher than the road to Logis des Fées, but I’d say not “quite” as beautiful. Rejoining the main road it was still 8+ kilometres to Col de la Madeleine (1993m). 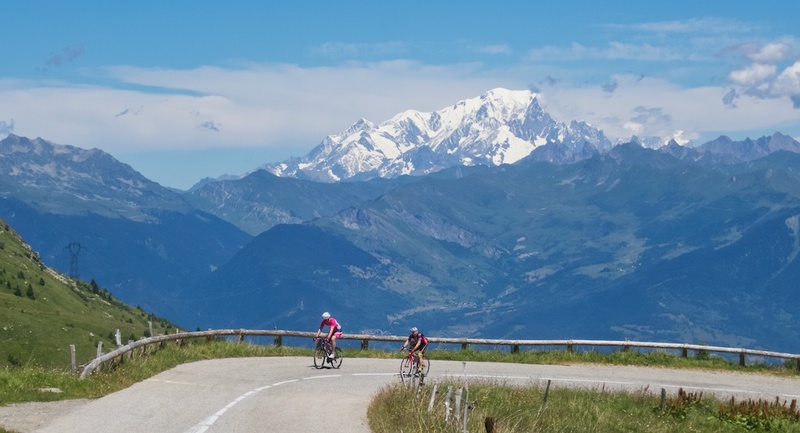 Tough going, but the last few kilometres are definitely the best part of the climb. There are several nice little restaurants at the col, I chose ice-cream over beer as my treat. And then a 25 kilometre descent back to the start. 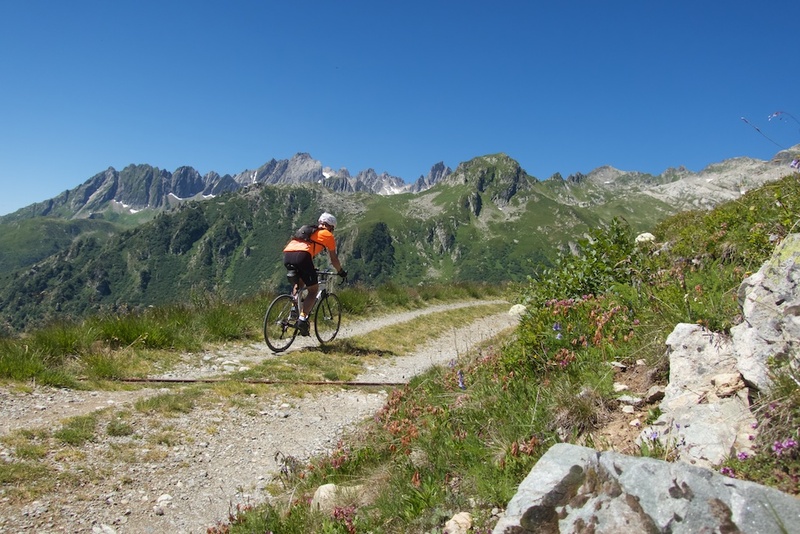 More than 2000 metres of ascent. A big, beautiful ride.